If you’re looking for certified pre-owned vehicles for sale, you’re making a great choice. 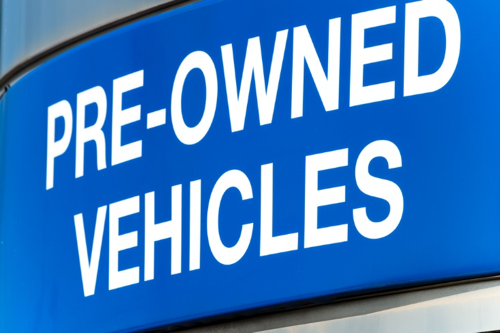 A certified pre-owned or “CPO” car is a vehicle that has been inspected, maintained, and serviced by the dealer, and meets the car manufacturer’s standards for quality and reliability. In most cases, a CPO car will offer you better reliability than a used car, so they are very popular among used car buyers who want to protect their purchases. However, there are quite a few misconceptions about certified pre-owned cars. Let’s take a look at a few of these myths now. This is not true. You can get an extended warranty for just about any car from a third-party company, but CPO vehicles are different. Certified pre-owned cars are also sometimes called “factory-backed,” because their warranties are issued by the dealer, and are backed by the manufacturer. You do not have to pay extra for any kind of warranty when you get a CPO car. The additional coverage comes with the vehicle without any kind of fees or extras, and there is typically are no deductibles or other extra costs for the repair of a covered CPO car. Again, this is not true. While dealers do have the authority to certify their vehicles on their own, they face serious sanctions and penalties from manufacturers and regulators if they abuse this privilege in any way. To be certified as a CPO car, a vehicle must pass a very rigorous inspection process. Its overall condition, level of wear and tear, mechanical soundness, and other factors are taken into account, and repairs or maintenance may be conducted to bring it up to near-factory condition. You may have noticed that not all vehicles at a car dealership are certified. These cars are simply sold as “used,” and if you buy one, you do not get the same protections and guarantees that you would if you purchased a CPO vehicle. When you are sold a used car that is not certified pre-owned, and you don’t buy a warranty, you’re liable for all repairs. Period. However, if you buy a CPO vehicle, the dealer is assuming liability for repairs based on the specifics of the CPO program, even if you do buy a warranty. This is also not true. Different automakers have different inspection processes for certifying CPO vehicles. They also may have different policies when it comes to coverage. For example, a certified pre-owned vehicle for sale at a Ford dealership will usually have a different warranty than one sold at a Toyota dealership. It’s very important to take the time to read the guidelines and details about the certification process and to understand what is – and is not – covered by the CPO guarantee. Here’s another common myth. Many people think that CPO vehicles cost a lot more because dealers essentially build the cost of a warranty into the purchase price. But this is not the case. On average, a CPO car usually only costs a few hundred dollars more than a used vehicle, and the difference is often even lower. In general, a CPO car will cost a bit more than a used vehicle. But it will be guaranteed to be mechanically sound, and the dealer will assume liability for repairs, based on the CPO program details – so a CPO car is usually well-worth the investment. Don’t Fall For These Certified Pre-Owned Myths! A certified pre-owned car is a great investment. You get a vehicle that has been treated well and properly-maintained – but you avoid both the depreciation of buying a new car and the repair liability of a used vehicle. So shop smart and find a certified pre-owned vehicle for sale near you. If you do, you’re sure to make a great investment in a reliable vehicle.